At the church I attended as a child with my family, the Sunday school classes were held between services. 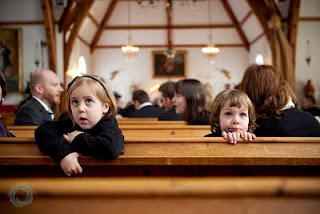 For us kids that meant sitting through a what-seemed-like-forever church service on a hard wooden pew and usually in a pair of scratchy tights and uncomfortable shoes. It was understandably hard for the squirmy, six-year old me to stay focused. For parents at Granite Springs that same lack of focus isn’t something we have to worry about. Knowing our kids are being cared for by loving volunteers allows parents to stay present and worship without the distraction of having, well, a squirmy kid who hasn’t quite perfected her “church whisper” on the chair next to them. Whether you drop off your infant at the nursery, take your preschool kiddo to Busy Builders before the service, or have older children that participate in the first half of church and then are dismissed to their respective classes, the Children’s Ministry programs at Granite Springs allow parents the chance to absorb the sermon, take communion, and connect spiritually. The number paging system that immediately and effectively notifies me if I have to check on my child and knowing that the Children’s Ministry team is prepared to accommodate children with specific needs, whether it’s a food allergy or a medical condition, provides that extra reassurance that lets me relax and focus on what’s important. The squirmy six-year old me learned to cherish my time in church, and the ability to fully participate in the service without having to dodge worship-folder paper airplanes or respond to the 15th inquiry of “How many more minutes until I can get a cookie?” is made possible by the Children’s Ministry program. I also know my kids are getting their own chance to worship, hear a Bible story, or learn a new verse, and having both our needs met is just one way Granite Springs supports and serves families. Very nice article and very true. A wonderful compliment for the Children’s Ministry at Granite Springs. thanks Amy. Yes, Children’s Ministry volunteers serve children, but they also serve the whole church by giving kids a space that is their own. they belong at Granite Springs and children’s ministry is one way we demonstate that. Thanks for your good words! As a “new” mom (15 months now) I appreciate the children’s ministry and volunteers so very much. Our little one is now mobile and since learning this new found fun cannot sit through the sermon. As a stay at home mom the nursery also offers a small taste of a care environment with other children. Thank you very much to all that are involved with this ministry. My husband and I truly appreciate being able to listen attentively to the sermons and discuss them after services without having to fill each other in.